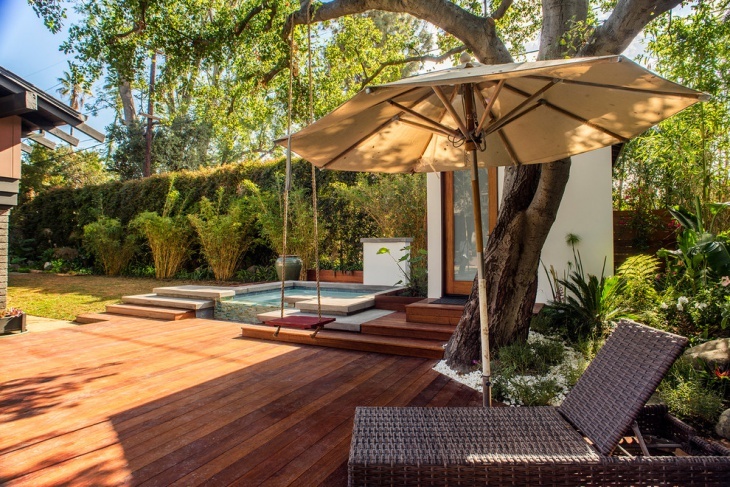 The ideal deck design should appeal not just to the visual senses, but to the emotions too; invoking a sense of inner serenity and calmness. 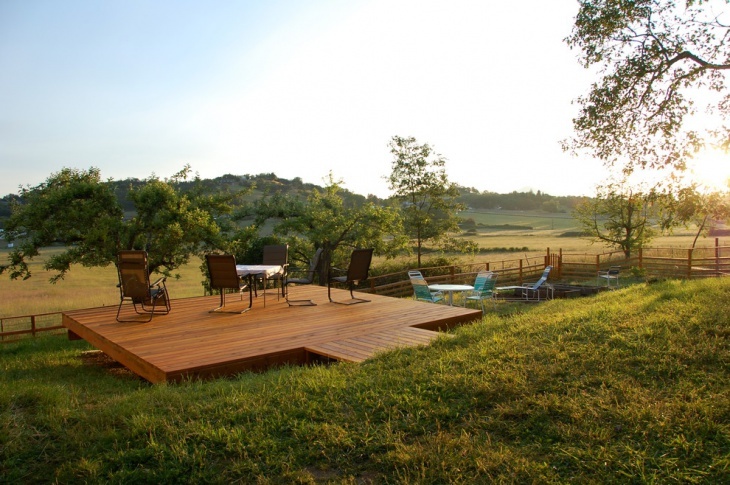 A deck could serve as an entertainment spot, an outdoor dining area, a meditation spot, or even an outdoor family movie spot; the options are basically endless. Looking to build a deck? 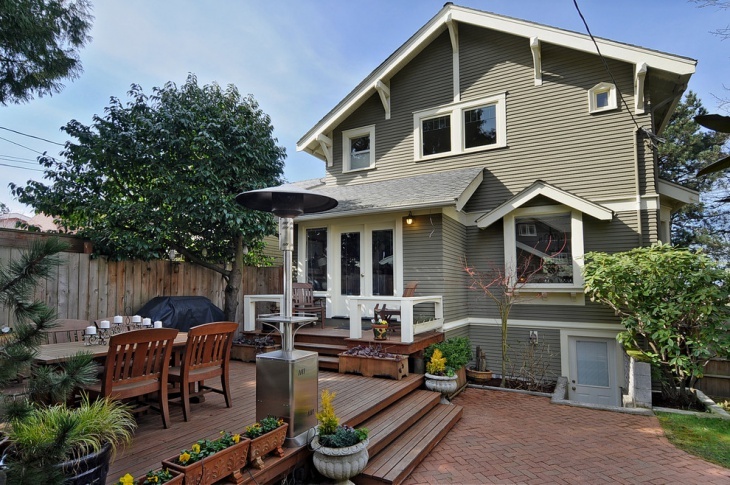 Here are a couple of Ground Level Deck Design ideas to steal from. 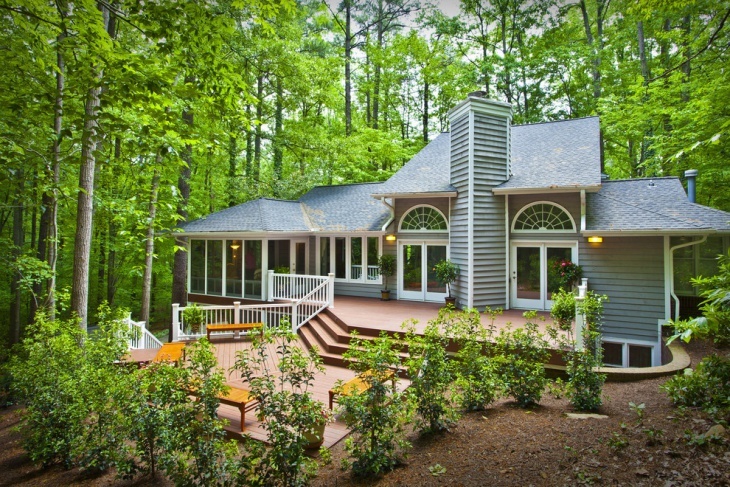 Notice how this deck appears to flow outwards as a continuation of the indoors? 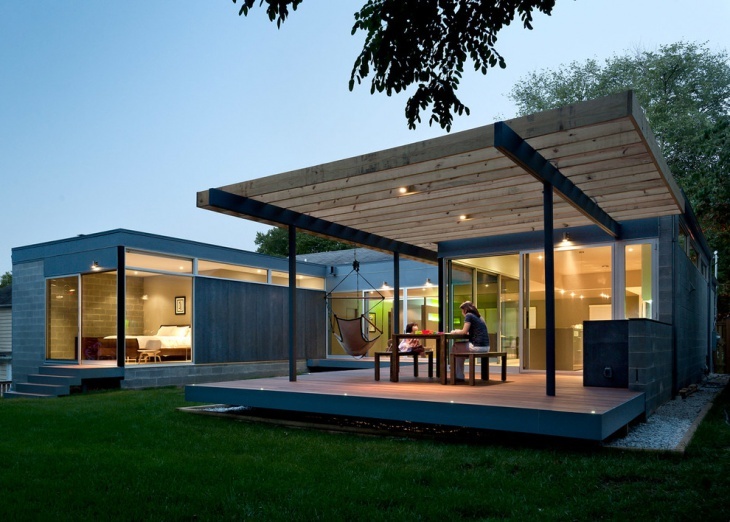 The large floor to ceiling windows open up the interior space to views, and also provide the outdoors with lighting thus minimizing the need for lighting at the deck. 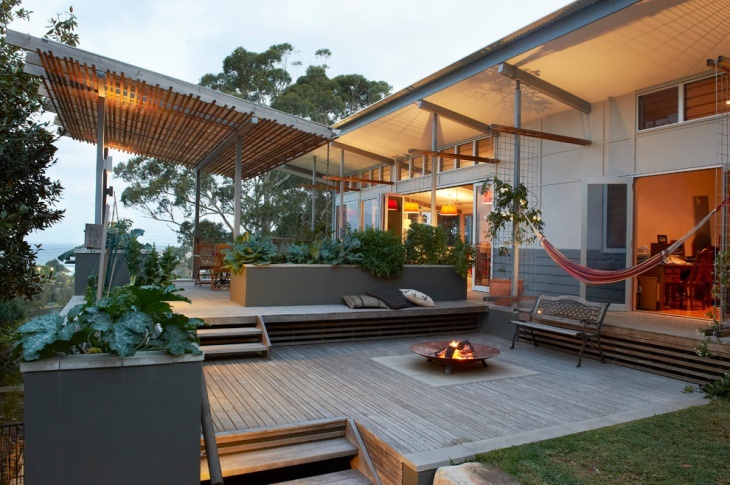 In this design the lighting is incredibly done, including those hanging from the trees and the well lights in the gravel. 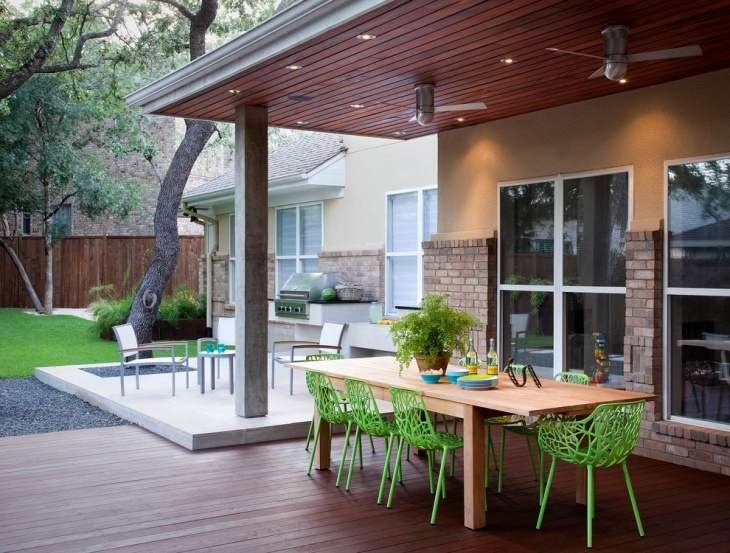 Besides that, providing different seating options is a genius idea enabling the deck become a timeless multi-functional space. 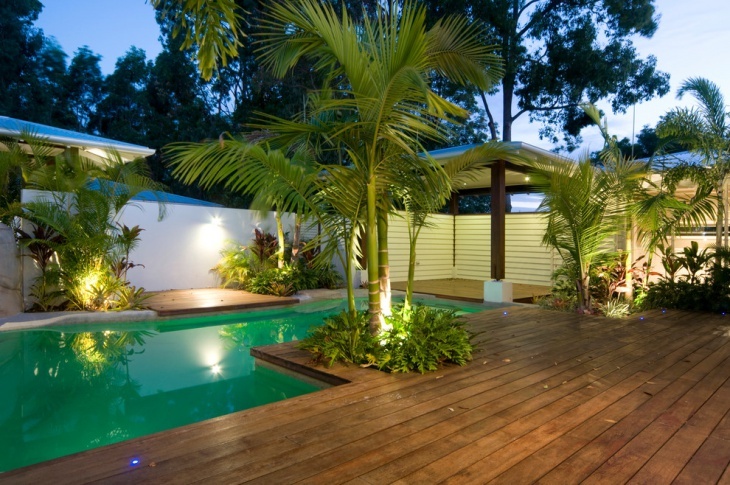 A floating ground level deck is a sustainable solution for those dealing with uneven ground. It majestically extends from the grass resulting in zero ground interference yet still creating a tranquil space with spectacular views. 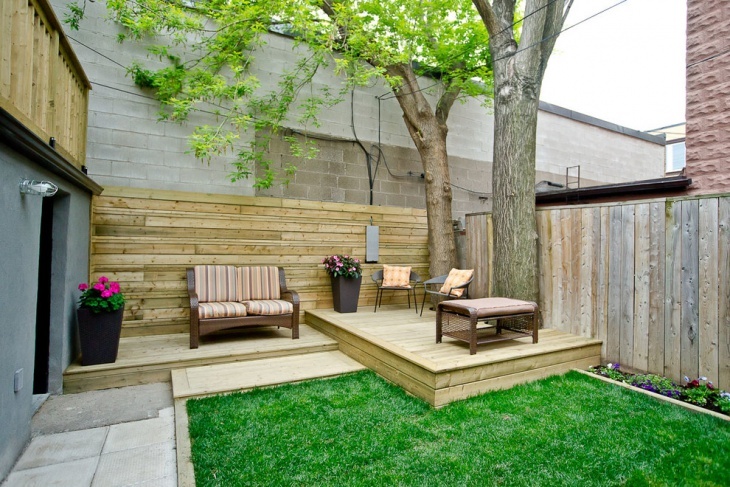 This is another idea of how you can combine a patio and a deck. 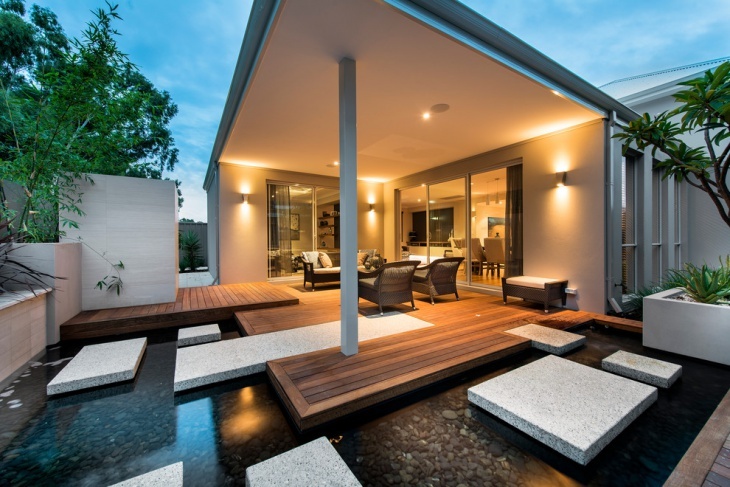 To tell the two spaces apart, both different levels and different flooring materials have been used whereby the wood deck gradually transitions to the stone patio. 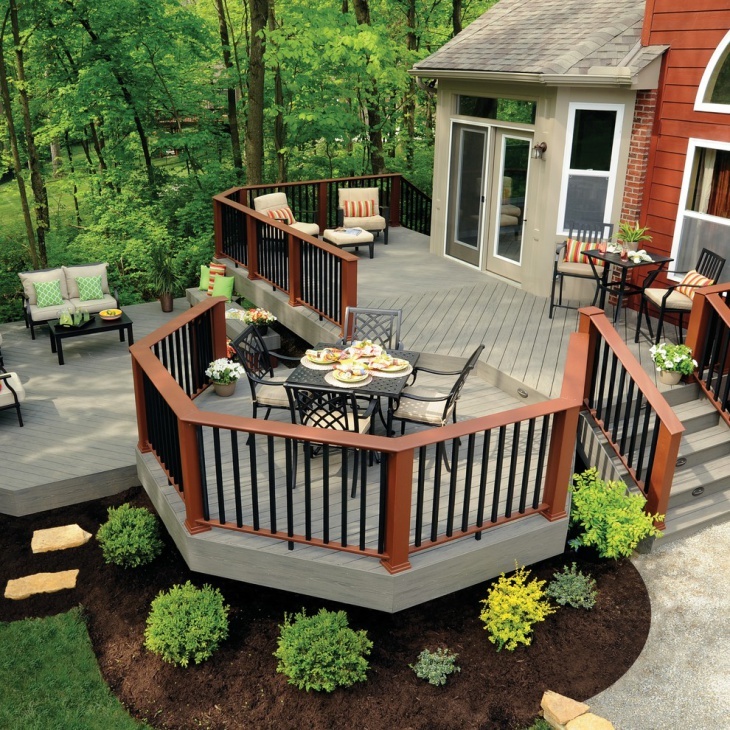 The beauty of having a deck with multiple seating options is that you can entertain both old and young people while giving each their own space and privacy. 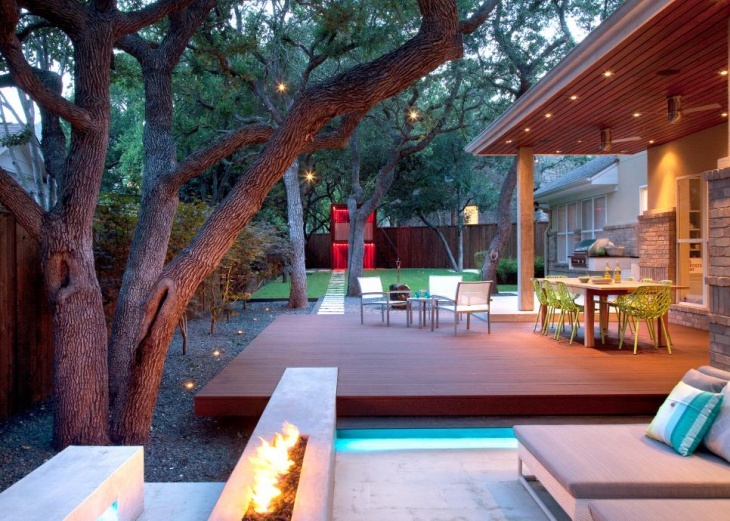 For large decks, provide different levels to allow for demarcation of the various seating spaces. 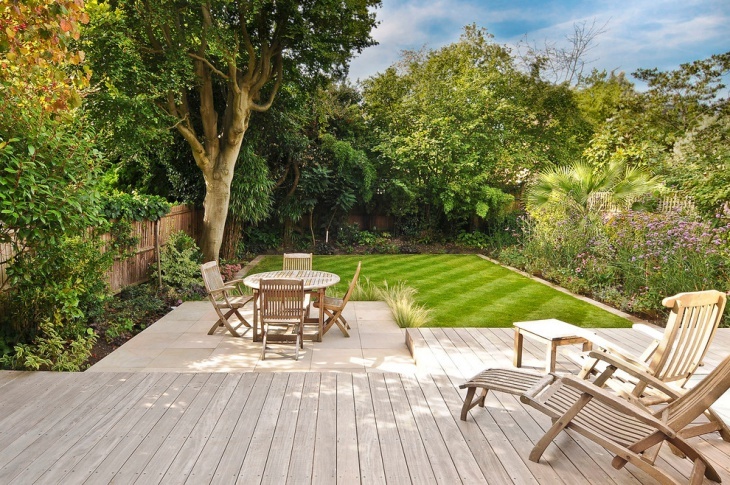 The mixture of pea granite, concrete stepping stones, ipe decking and metal railing with an ipe top railing gives this small space acute visual interest. 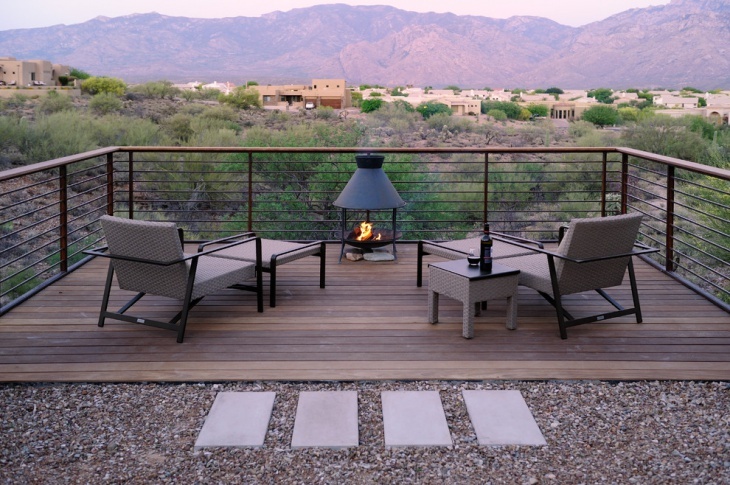 Fire pits are not only cheaper than fireplaces, but they are also portable hence can be set up anywhere on demand. 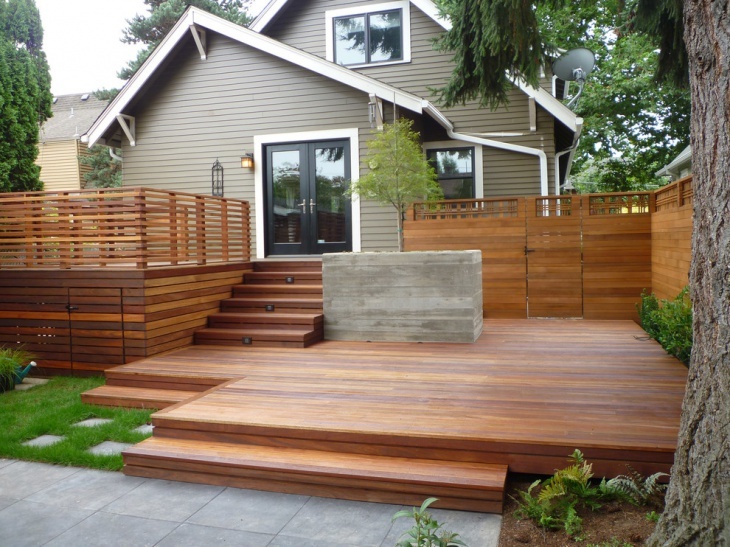 There is certainly nothing unlovable about this deck. 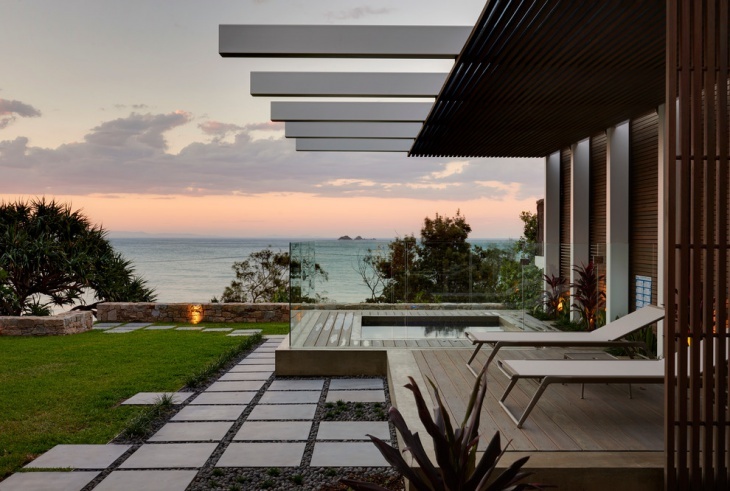 The interplay of different materials and textures, the beautiful views and the crisp ocean air all set the perfect mood for a deck by the beach. 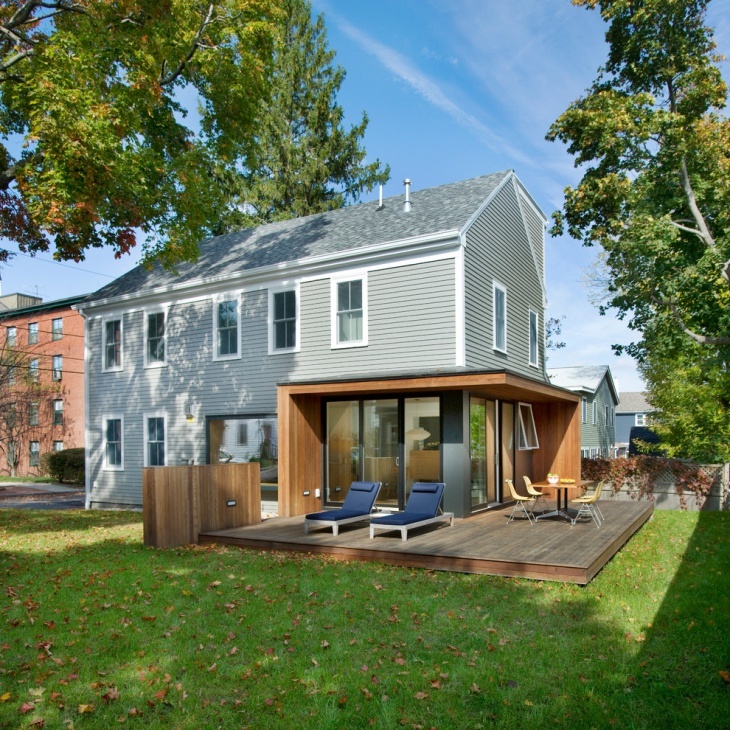 This deck transitions gracefully from the interior while still maintaining its own identity. 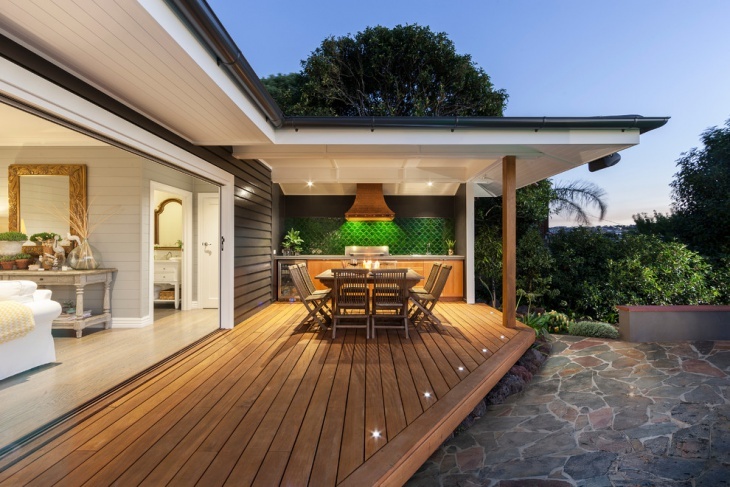 Although the glass panes allows for flow of light from the interior, the lighting above the table at the deck is a great touch, as is also the recessed floor lighting. 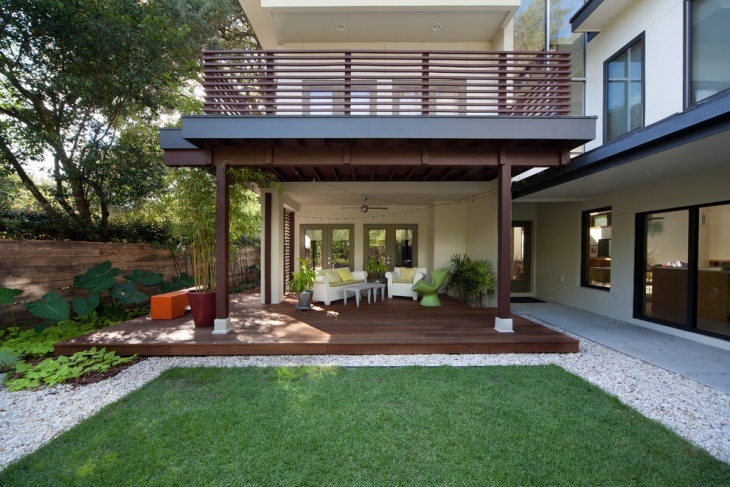 A good Ground Level Deck Design provides a space that is both graceful and elegant such that it stands out without distracting one from the rest of the house. 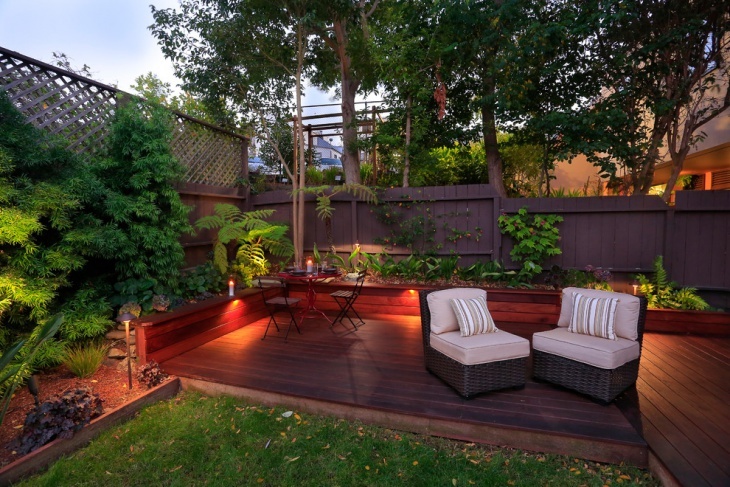 Also, when it comes to decks it isn’t about the size, it’s all about the mood created through location, materials used and decor.